I want you to know that I use your devotion, “Squirrel Mentality” with my online graduate students at Indiana Wesleyan University. It is always a “hit” and oh, so powerful! I noticed that you are an associate pastor in Mississippi. I live in Ohio but am from Mississippi. It is so good to see great work coming from my home state. 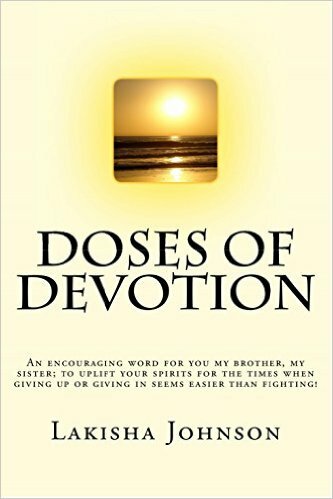 I look forward to reading upcoming inspirational devotions. Thanks so much. Wow!! Thank you Dr. Brown. That is so awesome. I will definitely check out your book.